Credit Cards – How to use it wisely – The way people do money transactions have been evolving from time to time. Off late, with the trend of Online stores stealing the major chunk of retail business, Credit cards and debit cards are gaining popularity even among the rural folks. In the current trend of consumerism, Credit Cards, which offers the convenience of ‘buy now and pay later’ is considered as a boon or panacea, especially among the youth. But in reality, credit cards have become a bane for many, if not all. In short, the same credit card is a boon for some but bane for somebody else. To use a credit card properly, it is mandatory to understand how the credit system works in it. In a credit card system, you purchase goods and services using the money of the bank or institution which issued you the credit card and pay back the money in the next billing cycle. Failure to pay back the credit in time will attract charges and interests. Let us have a look at some important terms associated with credit cards. A credit card is an extension of a ‘credit account’ associated with it. The most important parameter to look for, in an associated credit account is it’s credit limit. This is the maximum outstanding amount you can borrow at any instant of time. What is credit card balance? Any amount debited from your credit card account will get added up to your credit card balance and every payment of your credit card bill will lower it. 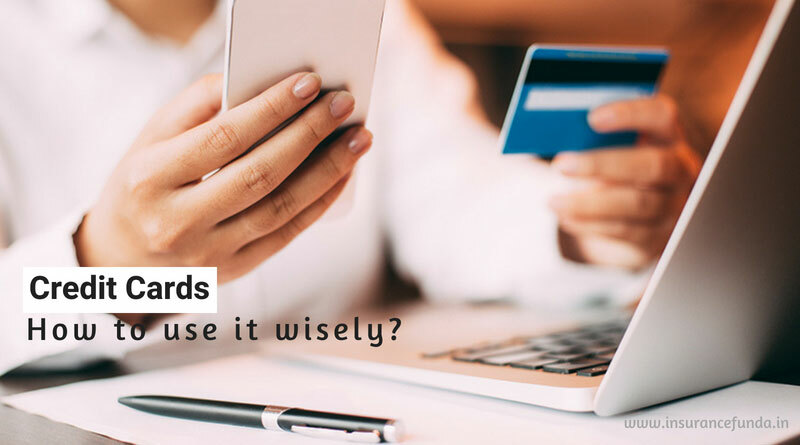 Thus every time you do a purchase or a payment using your credit card, that amount is added to your credit card balance..
Often credit cards offer the flexibility of paying the outstanding bill in part. Your Credit card will mention the minimum payment, which is the amount you must pay each month to keep your credit card accounts in good standing, in the bill it self. Usually the minimum amount payable is just as low as 2 to three percent of your outstanding credit amount. How interest is charged in credit cards? Credit cards compute interest on each purchase or transaction on a daily basis. Almost every provider offers to waive off the charges, if the customer settle their net balance once and for all, especially before the stipulated date. This duration between the due date and the end of the billing cycle is called as the grace period. However, if card user is not able to pay out the entire due amount before the deadline, the grace period and its benefits no longer apply to him/ her. Please note that the customer will not only have to pay interest on each of their charges in their recent statement cycle, but will also have to pay interest on these charges on their next cycle too. Convenience – No need to carry money and count changes. No worries about availability of money at the time of purchase. Allows Online Purchases and Sales – Online purchases are faster with credit cards compared to net banking and other modes. Get Rewards and Cash Back – Credit cards usually offers rewards for every transaction done on the card in the form of reward points. Accumulated reward points can be used to purchase certain gifts as per the offers available. Some cards allow you to less it against your outstanding bills. Free Credit for a Limited Period – What ever be the date of your purchase, you will have to pay back the amount only on the next billing cycle and within the specified dead line. Thus cards give you an interest free period up to 45 days on your purchases and transactions. Easy to do Foreign Currency Transactions – Generally debit cards will not permit you to do foreign currency transactions. Foreign currency transactions are easier with credit cards. EMI facility You can defer the payment of a particular transaction subject to certain conditions using the EMI option. You can pay the amount in 3, 6, 9 or 12 equated monthly instalments by paying nominal additional interest. Paying through EMI is cheaper than taking out a personal loan to pay for a purchase. What are the disadvantages of using credit cards? High Interest Rates – Credit Cards carry the highest interest rates of all the different types of loans and mortgages. They also charge you a lot of fines for delaying payments on your credit cards. Debt Traps – This is the biggest disadvantage and threat a credit card can offer on your life. The facility to pay the minimum amount due on the existing bill and continue the usage of the card, can end you up in a dangerous debt trap. Credit Cards are dangerous for people who have less self control or are shopping freaks. It allows you to accumulate debt easily as you don’t need to apply for a loan. You can have multiple credit cards and carry huge debt. Many people get bankrupt and have their life destroyed through credit cards. Complex Fines and Fees – Credit Cards have complex fines and fees which makes it very difficult for a normal person to understand.They have late payments and fines plus they also charge tax.They can add a variety of fees such as fees for withdrawing cash with your credit card etc. Promotes Spending over Saving – Credit Cards make it easy to spend and harder to save. Credit card debt refinancing is the process of transferring the balance of one credit card to another. It is also known as balance transfer. This is best possible way to escape from the unending billing cycles which eventually lead to bankruptcy. Refinancing the credit card debt can give you a better repayment structure. In short, credit cards offer umpteen number of advantages over other payment modes in terms of rewards and convenience, but the flexibility of a credit card is too tempting to the extent that you can end up in a debt trap and eventually ruin your life if not used prudently.